· Production of graphene and related layered materials. · Graphene-composite structure and properties, including mechanical, barrier, thermal and electrical. There will also be a session before the conference dinner on Monday night where the future of graphene composites will be road mapped as part of the consultation for the EU flagship call. 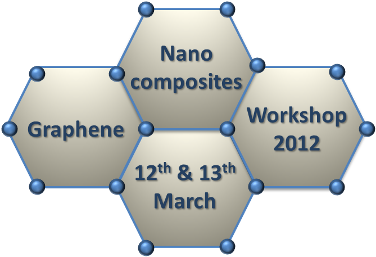 The conference will start at 10 am on Monday 12th and finish at 3 pm on Tuesday 13th March. The roadmap consultation will be on Monday night, before the conference dinner. The talks will be given by both invited speakers and contributed talks. The detailed schedule can be found here. The meeting will take place in the Manchester Conference Centre at the Days Inn Hotel in central Manchester. Registration will be £125 and will cover lunches and the conference dinner on Monday night. Accommodation can either be booked through the Days Inn Hotel or at other local hotels, such the Ibis Hotel and Holiday Inn Express. The conference centre is only 3 minutes walk from the main railway station (Manchester Piccadilly Station) and 15 minutes by train or taxi from Manchester airport.